Switching from proprietary applications to free and open source software brings a degree of freedom and stability. You can use the software you like for free and for as long as you want, with few (if any) restrictions on your behavior. This can be liberating whether you’re an ardent Linux user or someone looking for alternative software for Windows or Mac. But applications are only part of the equation. File formats can be just as limiting. If you really want an open, non-restrictive computing experience, you may want to consider adopting open formats. Some are more widely used than others, so if you’re switching to Linux Switching to Linux? 4 Operating Systems That Feel Like Home Switching to Linux? 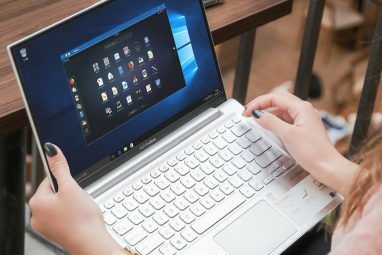 4 Operating Systems That Feel Like Home Switching to Linux has a learning curve, and depending on your choice of Linux operating system even navigating the desktop can be tough. Here's how to make your new journey a little more familiar. Read More you probably won’t want to adopt all of them. Even so, what are your options? Microsoft Office documents are ubiquitous. If your teacher, boss, or colleague sends you a document online, there’s a good chance it will arrive as a DOCX (word processing), XLSX (spreadsheet), or PPTX (presentation) file. Yet despite Microsoft referring to these files as Office Open XML documents, they aren’t truly open. Microsoft has published the standard, and it promises not to sue anyone who uses it, but these remain Microsoft-controlled formats. Not only that, Microsoft doesn’t fully support the specification that it shares with others. As a result, Microsoft Office users and people who use any other office suite Is LibreOffice Worthy of the Office Crown? Is LibreOffice Worthy of the Office Crown? LibreOffice is the king of free office suites. It's unlikely to replace Microsoft Office in a business environment, but it's an excellent alternative for casual users. Here's what's new in LibreOffice 5.1. Read More often don’t see the same formatting. The problem here isn’t with other office suite makers — it’s with Microsoft. The OpenDocument Format is an open format understood by most office suites, including LibreOffice, OpenOffice, WPS Office, Google Docs, and KDE’s Calligra Suite. Microsoft Office, too, supports OpenDocument files, though older versions do a poor job of it. If you need to choose a format, ODT (word processing), ODS (spreadsheet), and ODP (presentation) files are the way to go as long as you aren’t interacting with someone who only uses an older version of Office. When you don’t need to worry about making edits, go with PDF (Portable Document Format). These files look the same no matter what software you open them with. Adobe has provided clear and consistent specifications for others to implement and grants them a royalty-free license to do what they wish. That said, the company does develop a few features that aren’t part of the open specification and are limited only to Adobe Reader. Nonetheless, Linux users can typically open most PDF files without having to download anything after an install. If you’re not writing anything complex, plain TXT files open on any operating system. RTF (Rich Text Format) files tend to be widely supported, but like with the older DOC, XLS, and PPT formats, RTF is a proprietary Microsoft creation. MP3 (MPEG-1 Audio Layer 3) is the industry standard. Is it free? Kinda. To create devices or distribute content that use the format, manufacturers and content makers had to pay a licensing fee. The format was free to listen to, so the cost was invisible to the vast majority of people. Linux users are the exception. Since the codec could not be distributed for free, many Linux operating systems did not come with the ability to listen to MP3s Why Your Music & Video Files Don't Play on Linux, and How to Fix It Why Your Music & Video Files Don't Play on Linux, and How to Fix It You've switched to Linux, but your video or audio files file won't play! Simply, your Linux version didn't come with the necessary codecs, so let's find out how to install them. Read More . The patents, held by German company Fraunhofer IIS, expired this year How Will the "Death of MP3" Affect You? How Will the "Death of MP3" Affect You? You may have seen the headlines suggesting the MP3 is dead. Thankfully, this is nonsense. So what's the truth behind the headlines and how will the real story affect you? Read More . This makes the format free for anyone to use and distribute. Fedora, a popular Linux distribution that doesn’t ship any closed-source or proprietary code, started offering MP3 playback in version 25 Fedora 25 Has Arrived: Here's What's Changed Fedora 25 Has Arrived: Here's What's Changed Fedora 25 delivers the latest from the GNOME project, but what's the story with the new display server, Wayland? Is the next generation display server really ready for prime time? Read More . If you like your MP3s, there’s little reason to convert them. Though if you want to make certain your music plays on Linux, OGG Vorbis, or its successor OGG Opus, is the way to go. Vorbis is a free format developed by the Xiph.org Foundation at a time when MP3s were still restricted. Free and open source operating systems, of which Linux is not the only one 10 Free Operating Systems You Maybe Never Realized Existed 10 Free Operating Systems You Maybe Never Realized Existed Chances are, your computer came with Windows or macOS. These operating systems may seem free -- but they're not. However, there are many free but relatively unknown operating systems. Let's take a look. Read More , support this format out of the box. People have also been free to use OGG files in video games, documentaries, and other forms of media. But there’s a downside. Many phones, media players, sound systems, and cars do not support OGG. 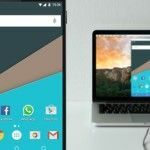 Windows and Mac don’t embrace OGG either, though you can install third-party apps like VLC 6 Awesome VLC Features You May Not Know About 6 Awesome VLC Features You May Not Know About There's a reason VLC is called the Swiss Army Knife of media players. This article identifies six awesome VLC features and explains how to use them. Read More that do support it. MP3 and OGG are both lossy formats, meaning they lose a bit of sound quality compared to hearing the sound live. WAV (Waveform Audio File Format) is a lossless format from Microsoft and IBM. If you rip a CD to WAV, you will preserve more of the sound than if you use MP3. That said, WAV files can be huge. A single album can be hundreds of megabytes. Hard drive prices have dropped, making WAV libraries easier to afford, but they may still be more than an online backup or syncing service can handle. Like WAV, FLAC (Free Lossless Audio Codec) is a lossless format that comes from the same folks who brought us OGG. FLAC uses compression, so audio stored in this format won’t take up as much space as WAV files. On the other hand, this data will still be significantly larger than sounds stored in a lossy format. Many other audio formats come with legal restrictions on their use, such as AAC (Advanced Audio Coding) and WMA (Windows Media Audio). As a result, they aren’t supported out of the box on most Linux distros. And there are more where those came from The 10 Most Common Audio Formats: Which One Should You Use? The 10 Most Common Audio Formats: Which One Should You Use? You know about MP3, but what about AAC, FLAC, OGG, or WMA? Why do so many audio file formats exist? Here's a breakdown. Read More . With video, file formats are largely hidden to the majority of users. Unlike music, we don’t download most of the videos we watch to our hard drives in a DRM-free format. Instead, we stream shows and movies online. We still need to have the necessary codecs to view this content, but that software often comes included in the browser. When you do download a video, it’s typically an MP4 (MPEG 4 Version 2). These files commonly contain a combination of the H.264 codec for video and AAC for audio. Both are guarded by patents and, in varying degrees, require licensing for use. As a result, Linux users usually don’t get MP4 playback out of the box. OGG Theora files are a different story. Like OGG Vorbis, this format is free for anyone to use however they wish. Unfortunately, design limitations have resulted in low adoption rates, even among video podcasters in the free and open source software community. If you want to bundle up audio and video in an open container format, consider MKV (Matroska). It can handle audio, video, subtitles, and more, plus it’s free and open source. The open WebM format used for online video is based on a profile of Matroska. Be warned, an MKV file may not necessarily run on your Linux machine out of the box. Matroska is a container, not a codec AVI, MKV, or MP4? Video Filetypes Explained and Compared AVI, MKV, or MP4? Video Filetypes Explained and Compared Why do so many video formats exist? It's confusing! But don't worry, we are here to help. Here's everything you need to know about video formats, containers, and codecs. Read More . A MKV file containing proprietary codecs still requires you to have the ability to play those codecs. But I Don’t Want to Make the Switch! You don’t have to. It’s easy to get restricted multimedia formats to work under Linux. Some that aren’t based in the U.S. or have commercial influence ship them out of the box. Others, like Ubuntu, make installing them as easy as clicking a button. And if you want to be sure you’re on the safe side of the law, you can buy a codec pack. If you’re concerned about office documents, meanwhile, it’s possible to install Microsoft Office on Linux How to Install and Use Microsoft Office on Linux How to Install and Use Microsoft Office on Linux Linux is great, but how on earth can you install Microsoft Office without running into problems? Here's what you need to do. Read More . Has support for file formats ever impacted your decision to switch to Linux? Do you know someone for whom this issue is a deal breaker? Which formats would you love to see improve? Share your thoughts! 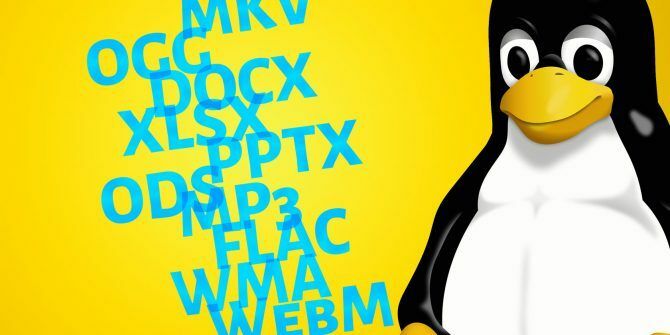 Explore more about: File Management, Linux. I use Linux, but used a lot of open source software before the switch. I was using Open Office and used it for my resume'. I didn't even realize back then it used the ODT format. I happily sent off my brand new resume and received a reply it was garbled nonsense. The person reviewing my resume' had no idea how to open it . My point here is no matter how much you want to use open source, sooner or later others will force you to use proprietary software. Linux needs to keep all options open. The best solution is to use either Wine (if you know a little about containers), which is free, or CrossOver office 16, which costs around $50. If you have a licensed copy of Office. It works with Office 365 and Office 2013 (probably Office 2016 too, but the Office 2013 can process Office 2016 too. In fact, you can get use Office 2010, which is now pretty cheap by comparison, and get damn near full MS functionality. I find that CrossOver is a more user friendly and has good support. It also opens a whole bunch of Windows games and some Adobe programs etc. The third option is to install a Windows VM in your Linux distribution, but then you will need a copy of Windows and a copy of Office. I prefer having a essential windows software because Linux has so many equivalents to proprietary software. Unless you are using proprietary industrial software you can get all the functionality you need, and more, from Linux. You can even have specialized VM's or DVD non-installed live distros for very specialized packages. With modern USB 3 or USB C connectors the specialized distros can perform pretty well. In short, there is no way that Microsoft will give up its proprietary formats since they are worth so much money. The Linux free alternatives like LibreOffice have equivalent and. in some cases, better functionality. You can save and export as .pdf , MS office formats and the global open document foundation formats. In most cases they will work and in those where they can't you can use your native office applications.